I think you are familiar with Betcoin.ag as they are one of the top Sportsbook website today. They offer sports bets and e-sports bets as well as online casinos. They even also have poker rooms where you can play in. If you click on their poker rooms, you need to download the client in order for you to connect to the system. This is also where the “real” games take place. Today, I’ve clicked on Casino and looked into their Video Poker area. Betcoin.ag has a lot of game providers compared to their counterparts. Here are the names of the companies working behind the curtains and bringing you top-notch games to play with. Please be advised that for you to be able to play you need to register an account with them first. If you already have a registered account with them, then just simply log in and head on to their Casino tab. 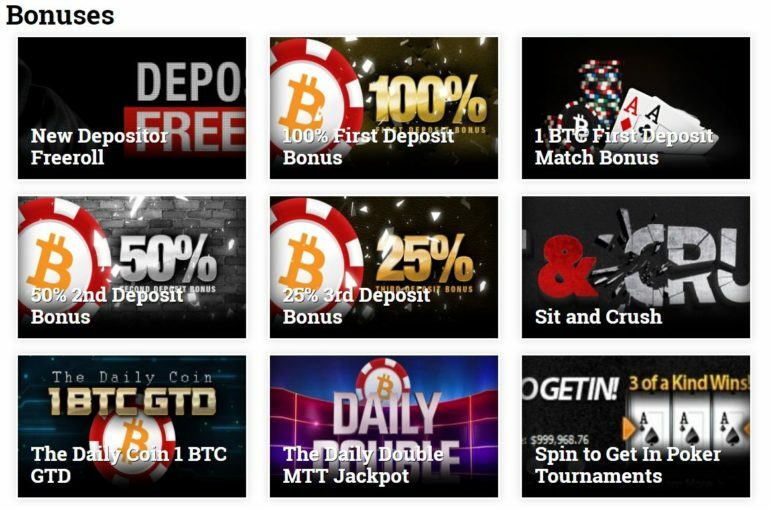 One more thing, they do not offer free play.Betcoin is US Friendly which is not the case with more and more casinos and also trading sites / brokers nowadays. Check this site if you are looking for US Friendly Crypto Brokers. 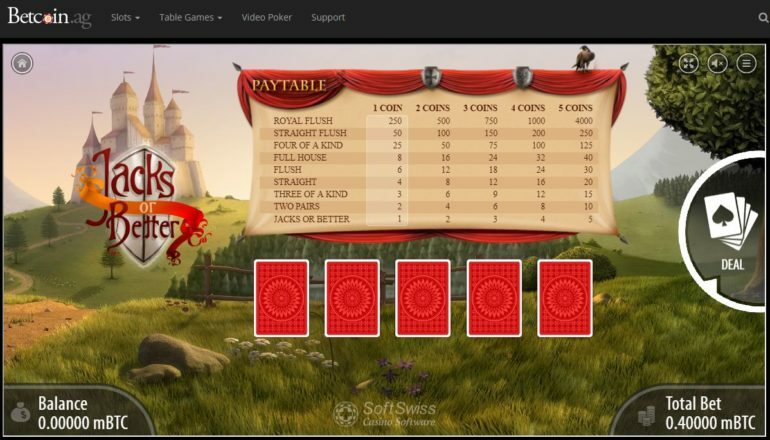 To start the game you need to choose your bet by clicking on the “Paytable” located on top of the cards. Once you have decided how much you want to bet, the dealer will then give you out the cards. Winning Two Pairs or cards above Kings would only get your money back. Starting from “Three of a Kind” up to Royal Flush is what counts. To start the game you just need to choose how much coins you want to bet. You are able to choose from 1 to 5 coins per game. This will also increase your odds of winning. Too bad we are unable to show you the game as it plays, but it looks like it’s the same with the previous game I showed you earlier. I would love to show you every single game from this website. But due to technical issues, I am not able to do so. Please see a screenshot below of the error I kept on getting with their Video Poker games as well as their Table Poker rooms. That’s weird. 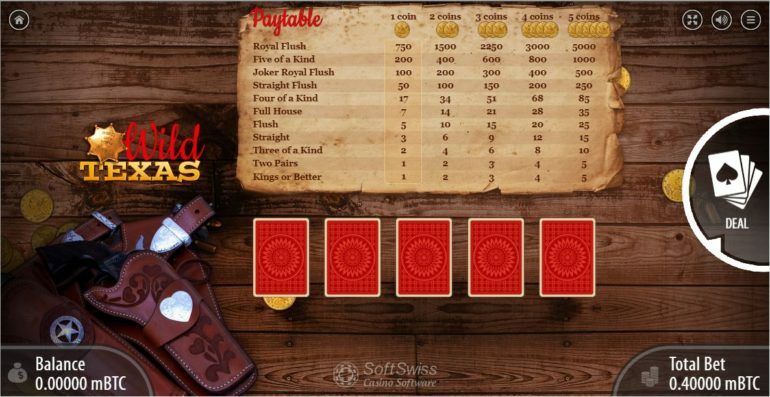 Since we are unable to show you the game tables for the Poker rooms, let’s talk about the other features that are available for you to explore and play with. The first feature that we would be looking at is the Betcoin.ag Live Casino. Here you would be able to experience casino like it should be, with a beautiful woman assisting you with all your bets. Now, who doesn’t want that? In Betcoin.ag you will be able to get some part of your money back with their “Bonuses” section. You get Freeroll, 100% first Deposit as long as still get rebates for your second and third deposits. Of course, who doesn’t want a steady passive income on the side? I know I would! You can get into their affiliate program when you click on this link. The website design is pretty much professional but the games that aren’t working made me think twice about Betcoin.ag. I have however sent a ticket to them regarding the errors that I found out and hopefully get these errors updated as soon as possible.